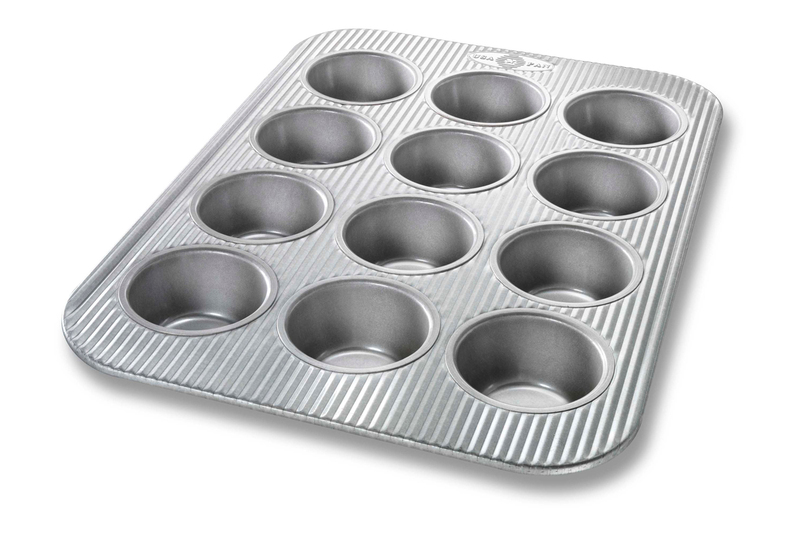 This durable USA Pan Muffin Pan 12 cup is designed to professional standards for the home baker. The structure and commercial grade aluminized steel in USA muffin or cup cake pans distributes heat quickly and evenly. This bakeware is also highly durable and resists warping and denting. You won't hear that dreaded ping when you put these USA made cupcake pans in the oven! Removing baked goods from professional quality USA pans is a snap because of their silicone finish. This non-stick surface also makes for easy clean up! Best of all, USA pans really are made in the USA, in Pennsylvania, of 65% recycled steel. You'll love the durability this muffin pan made by USA pan. Aluminized steel is corrugated or fluted to increase strength and prevent warping. Corrugation also makes for faster, even heating! Each pan has a silicone coating that creates a non-stick surface on both the top and bottom of the pan. Baked treats are easy to remove. Clean up is a treat too because it's so easy. Special Americoat silicone finish is free of PFOA and PTFE. 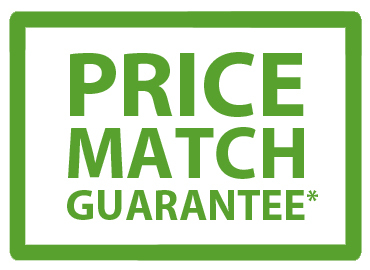 Each pan has a silicone coating that is free of PFOA and PTFE. This coating minimizes sticking. Before using, hand wash pans in warm water with mild dishwashing liquid. For the lifetime warranty to be valid, pans must be hand-washed. Because USA Pans are highly efficient, keep a close eye on the progress of your baked goods. You may need to shorten baking times. Be sure to note the optimal baking times on your recipes, so you can be confident of the proper times when you bake those items again. Do not cut baked goods when they are in the pan or you will ruin the silicone finish of the pan. Pan will darken slightly with use.